Have you an ever been in a situation whereby the only thing preventing you from carrying your binoculars along on that trip is simply the weight?. Well, a friend of mine recently did. after packing her luggage she didn’t even know that her old binoculars where gonna be the extra weight she might have to pay. After she told me her story, I thought well I must as well help other travelers or safari lovers who might want to consider something lighter. So, I did my research and gathered some of the best lightweight binoculars for travel that will lighten up your bag. However, that doesn’t stop you from using these binoculars for other activities as well. Generally, binoculars can be used for different outdoor activities unless they are specifically designed for a purpose, you can always use them for general purposes. Having travel binoculars with you make you see things you otherwise won’t have seen without them. Binoculars give you the privilege of seeing details of things afar without having to move very close to them. They are especially useful when you are exploring new places, going wildlife/safari or going sightseeing. So, on your next trip don’t forget to pack a pair of lightweight and compact travel binoculars with you. Below are some of the top rated lightweight travel binoculars you can choose from. 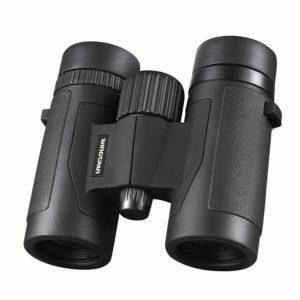 Below are the detailed reviews of each one of binoculars listed above to give you an insight on each one. Both the pros and cons of them. 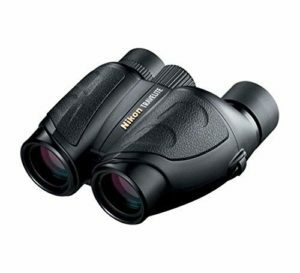 Lightweight champion of dawn and dusk as the Nikon Monarch 5 binoculars are rightly called. It is not surprising that they weigh only 1.3 pounds making them way lighter than their predecessors. 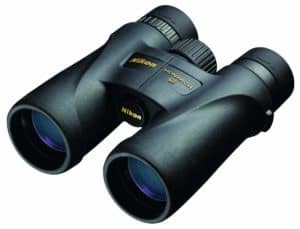 The Monarch 5 binoculars are built with Nikon legendary extra-low dispersion glass lenses which are very good at correcting chromatic aberrations thereby giving a larger sweet spot to see more details. Because of this type of glass used, the images are able to maintain superior contrast and resolution. This makes the images have a natural look and appeal. These binoculars are easy to carry along on your trip without the extra sweat because of their small size combined with the sleek easy to grip body design. These also have a pretty good field of view as well and long 19.5 mm eye relief to help reduce eyestrain and improve your viewing comfort. I am a fun of Vanguard binoculars framework design. I just like the way their binoculars look. They often have this open bridge design that allows for easy handling that gives them a very sleek and appealing look. The Spirit XF model offers good image quality and user-friendly features. 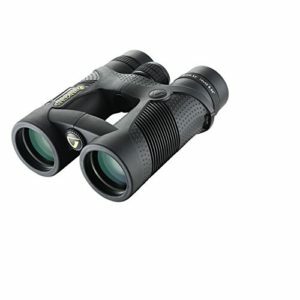 With their fully multi-coated bright and high-resolution optics you sure won’t be disappointed with them on your trip. Having binoculars that are fully weatherproof is recommended these days when going on a trip since you can’t always be certain how the weather might change. Even if you rule out rain how about the humidity, the temperature change and other weather conditions that might cause your binoculars to mess up. So it is pretty safe to have a pair that is waterproof and fog proof. Weighing 23.4oz, they are lightweight and compact and offers premium comfort while you holding them. The 16 mm eye relief is generous enough to accommodate glass wearers and with a field of view of 332 ft /1,000 yds, you can enjoy viewing through them without changing positions. Few customers complaint about difficulty in keeping eyes aligned and in low light that they don’t so great. The Celestron TrailSeekers are lightweight and compact and great for travel. 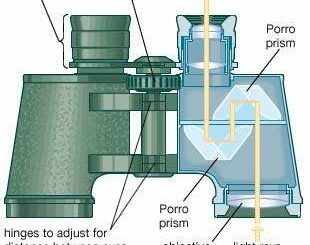 The prisms are dielectric coated Bak-4 prisms which are phase-corrected to help increase their light transmission to ensure even though they are compact with smaller objectives lenses, they can still give decent image quality and views. They are lightweight due to their magnesium alloy framework. This makes it easy to take them with you anywhere you are going. These lightweight binoculars weigh only 1 lb and are compact enough to fit in the side pocket of a daypack. Whether sightseeing, travel, concerts and other events. Plus, they are fully waterproof and fog proof for use in harsh weather conditions. They are tripod mountable for extended viewing sessions and even though the eye relief is at 14.4 mm, which is not the ideal recommended number for those who wear eyeglasses, but they are great for non-glass wearers and are manageable by those who also wear glasses. If you prefer a foldable pocket fit binoculars, then the Skygenius Small compact binoculars are worth considering. They come at a very affordable price as well. Even though they are often called concert theatre opera binos, they are great travel binoculars to take with you. They are great for both adults and kids who want a pair for short distance viewing purposes. With their wide field of view at 369 ft/1, 000yds, you can capture a large area of the action at once. 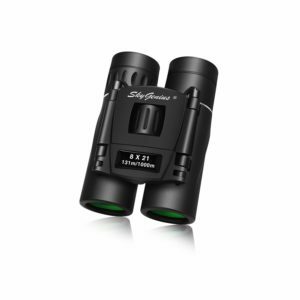 These feature Bk7 prism and fully multi-coated green optics that gives better light transmissions for clear images. At 16 mm, the eye relief is good even for those who also wear eyeglasses too. They can be used comfortably without eyestrain. Whether you are going nature watching, sports events, birding, travel, etc. these Wingspan Spectator binoculars can take you anywhere without compromising on details, clarity or brightness. 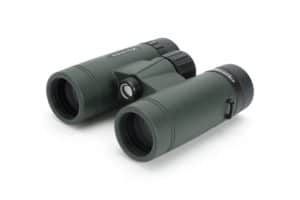 Known to have amassed over 1,400 customer reviews and been rated 4.6/5.0 stars on Amazon, They are pair seriously loved by thousands of binoculars lovers. With a wide field of view 362ft/1000 Yds and good close focus, you can view objects both far and near with great clarity. The non-slip grip body enables you to watch both indoor and outdoor events for hours without fear of them getting damaged. Even better, Wingspan Optics offers a lifetime warranty for their binoculars. Which means if they get damaged you can return them for repairs at the company for free. They weigh only 15.2 Ounces and are fully weatherproof. No need to worry about them getting fog up in harsh weather conditions. With an eye relief of 14.8 mm, they are comfortable enough for everyone to use. Nikon is known for its wide variety of optical instruments. The Nikon Travelite chassis is made of polycarbonate which makes it lightweight and durable. Because they are lightweight and small, they are able to offer you the comfortability of been carried around the neck or inside your handbag or backpack without undue risk of damage. They weigh 9.5oz which is quite small weight. The Travelite binoculars are not waterproof, but this shouldn’t stand in your way of enjoying them. They’re so small that it’s not difficult at all to carry along a plastic bag to slip them into should you encounter damp conditions. These Nikon Travelite binoculars have an eye relief of 11.1mm. Which is fine for use with the naked eye, but barely or not quite enough for a fair number of eyeglass wearers. The 10X25 pair has a decent angular field of view at 285ft/87m at 1,000yds/m. Binoculars are great devices to have along on your travel but as most often than not finding those best lightweight binoculars for travel can be challenging. That is why I decided to help out with these above top lightweight and compact binoculars for travel and other general uses. They are not only limited to be used for travel but can be used for other activities as well such as nature observation. Depending on whether you prefer the full size or medium or small size, you will find something for yourself. I hope you have found what you are looking for. Have a great Travel experience with your new pair of lightweight travel binoculars!. 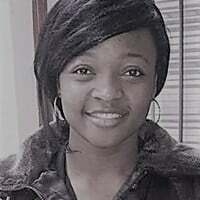 Josephine is Content Manager @ Binocularsinght.com, an Electrical Engineering Grad who loves optics. She is an Outdoor Enthusiast and a Writer who likes escaping into the mountains for hiking adventures and enjoys other outdoor activities as well.